I back out if they'te playing with a guess. It's a nightmare. Mexican badge / Club name or gamertag in spanish will always get my opponent a nice block. I've given them plenty of chances. If you mean Newells Old Boys then I back out aswell. Names such as inter yer nan are a definite back out as are orange connections. I see Daniel Agger all the time, but never play against him. They definitely put players up on that screen that you don't play against. I back out if it's a red/orange connection or if the jerseys are too similar. I'm partially color blind so this can be really difficult. I primarily have to use black or white kits. Completely abandoned my Division 1 kit, the community is full of a bunch sissies who back out when they see a threat. Yup, that's because they use ever abuse tactic there is to win and usually use Aubamayang. But like you said, there are some like yourself that aren't that kind of player. I went in last time and won 3-0 against him. I've never won division 1. 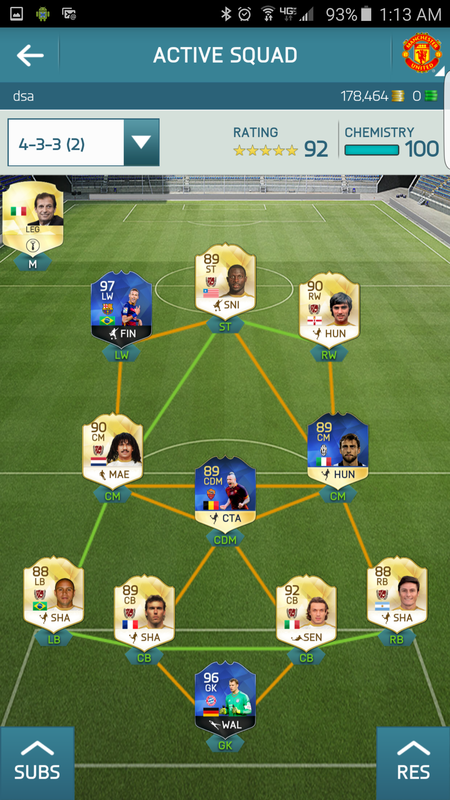 This team I have now is owning. I like Mexico away kit too.. I showed it in the squad show off. It has a minor change with niang tots in it and keep toty iniesta and modric on bench ifor I need more attack and depending if their midfield is weak. Here is the updated first team.